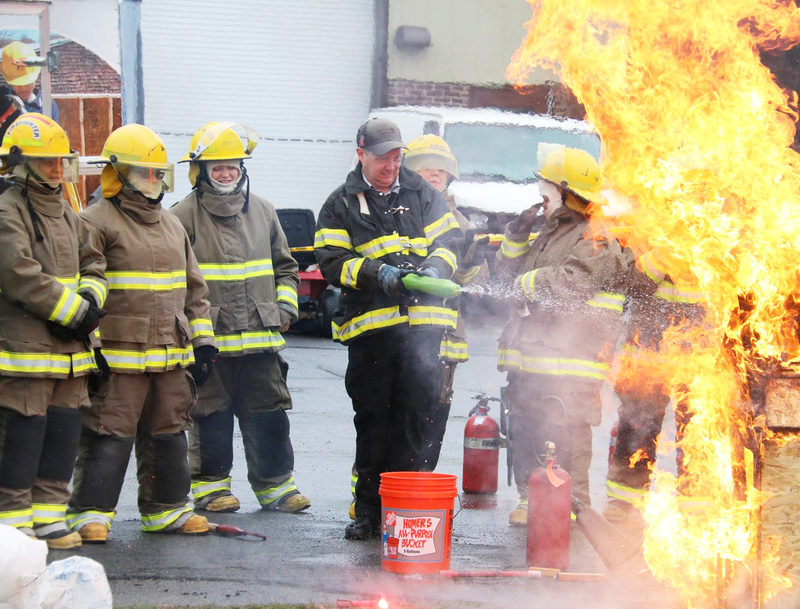 MEXICO – Students in the Public Safety and Justice program at the Center for Instruction, Technology and Innovation recently showcased their firefighting skills during a controlled fire demonstration. Students in the Public Safety and Justice program at CiTi look on as instructor Shawn Tompkins extinguishes flames during a controlled fire demonstration. For the demonstration, students in the Construction Technology program built miniature wooden structures that the Public Safety and Justice program safely set ablaze. The students, along with their instructors, then put their firefighting knowledge to the test in order to douse the flames. The demonstration showed students first-hand how fast a fire can spread and how important teamwork is in order to put the flames out.